With the e-cigarette still a fairly recent phenomenon, many people who are new to them are still unfamiliar with the terminology. The language can seem confusing at first, especially when many places use it without any explanation, so we’ve decided to put this useful glossary containing some of the main terms together for you. The electronic component inside the e-cigarette which turns the e-cigarette’s nicotine solution into vapour. A combined cartridge (containing the nicotine solution) and atomiser. One of the main components of the second-generation e-cigarette, a clearomiser is a cartomiser with clear walls, allowing the user to see how much e-liquid remains in the cartridge. Also known as a first generation cigarette, a cigalike is an e-cigarette which resembles a regular tobacco cigarette. An e-cigarette with limited uses, designed to be thrown away after its liquid has been used up. Any cigarette which emits vapour, rather than smoke, with the nicotine vaporised by an electronic atomiser, in contrast to regular cigarettes. Also known as e-cigarettes and e-cigs. Kits which contain everything you need to get started with using an e-cigarette, normally containing a cartomiser, batteries, chargers and a manual. sed to refill second-gen e-cigarettes, e-liquids come in a variety of flavours, from standard tobacco and menthol to bubblegum and cheesecake. Also referred to as e-juice. 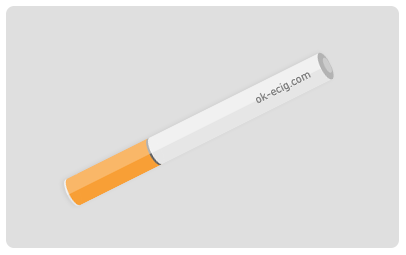 A light found on an e-cigarette (especially on the end of cigalike models, helping it to resemble a regular cigarette). An e-cigarette which has been modified into a custom design, often to achieve a better ‘hit’ of vapour or a larger vapour cloud. Used in rechargeable cigalikes, e-cig refills often come in cartridge form and are used to replace used-up cartridges. Refer to e-cigarettes which use tank systems, in contrast to cigalikes, which are first e-generation e-cigarettes. The feeling you get when the vapour first hits your throat. To use or inhale vapour from an e-cigarette. A person who uses an e-cigarette.